When you think of café culture, Paris or Vienna probably come to mind. 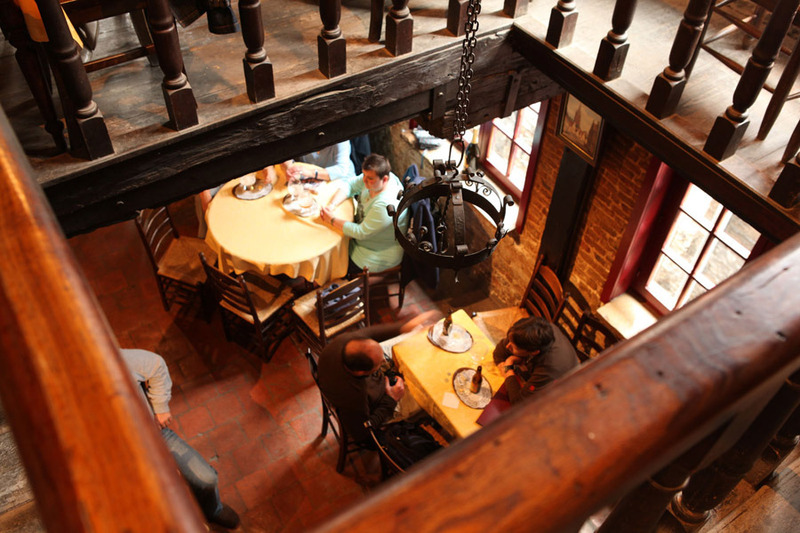 But Belgium has a café culture all its own – and guess what? Coffee isn’t even on the menu. 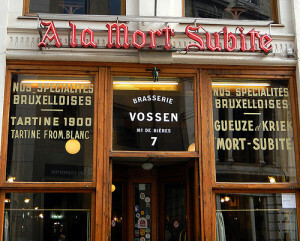 Head into À la Mort Subite in Brussels – the grand-daddy of all Belgian cafés, and you will be greatly impressed by the extensive selection of Belgium’s national drink: beer. Enjoy getting recommendations from the sometimes surly but always suave waiters – just don’t ask for a Bud Lite. The slightly-sticky but classy art-deco surroundings will transport you back to a time when “Bud” didn’t even exist – you can imagine generations of gentlemen in top hats and ties sipping delicious monk-brewed tripels and dubbels after a long day at the office. Perhaps it’s all those years of imbibing that have led to the aforementioned stickiness. 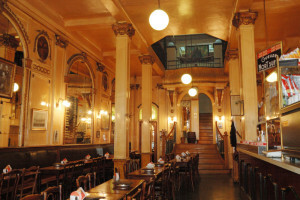 Though I enjoy the big name must-sees, my favourite Belgian cafés are a little more out of the way, a little more hole-in-the-wall than the famous À la Mort Subite. I think no other town has a better selection of such watering holes than Bruges – a town seemingly plucked from the middle ages and transported through time for us to enjoy today. I’ve got many favourites here, but I’m only going to list my top three. It takes some balls to actually put a price on your menu – for the menu itself! If you want, you can actually buy the menu for €10 as a keepsake from a night you probably will only remember the start of. Café Rose Red is owned by friendly Kris (who also operates the Hotel Cordoeanier, which, conveniently, is in the same building!) 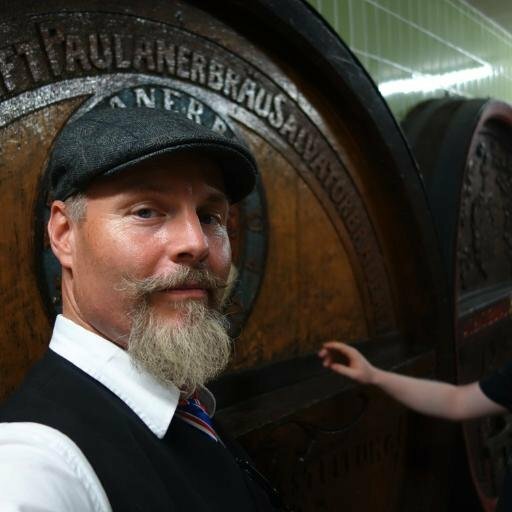 and managed by super-beer-knowledgeable Giles. At Café Rose Red you can expect a quiet, beer-focussed evening, with some tapas if you wish, and lots of great conversation, even if you come alone. 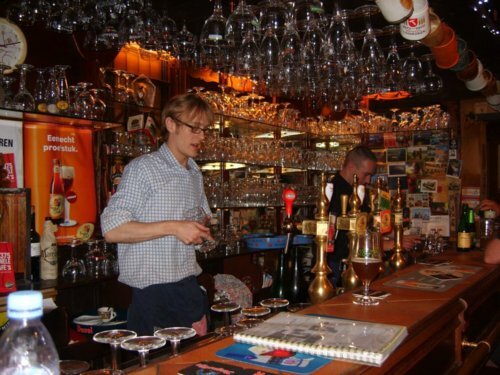 This is my favourite place for a drink in the entire country of Belgium. Recommendation: If you can’t get out to the abbey of Sint-Sixtusabdij Westvleteren, this might be the place you can actually “taste the silence” and enjoy the most exclusive beer in the world. Available when they can get it… If they’re out, ask for a recommendation for another monk-brewed Trappist beer. 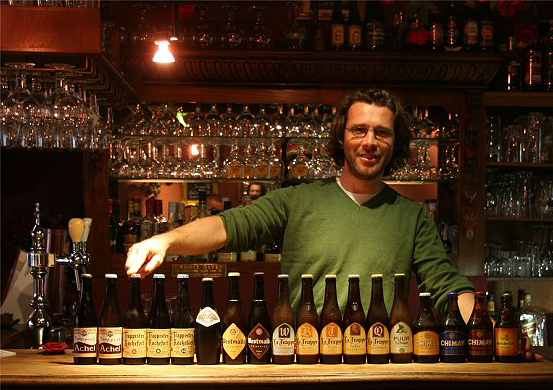 Tom, Laura, and company will keep you fully informed and fully, well, filled, with amazing Belgian beer from a selection that has a ridiculous amount of beers on it. 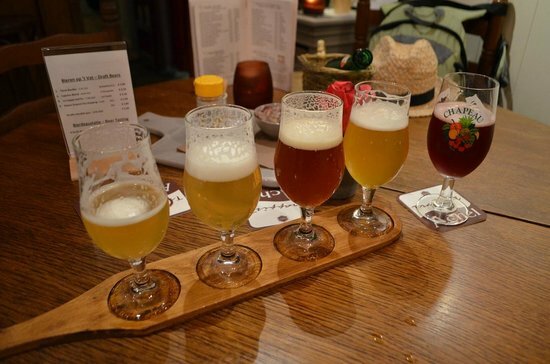 When they hand you the menu, it is as if they have given you some pre-internet encyclopedia, and in many ways, their menu is an encyclopedia of the great beers of Belgium, categorized by the various regions of this small country. If you’re looking for a night to spend with that someone special, cozy up at one of the small tables. 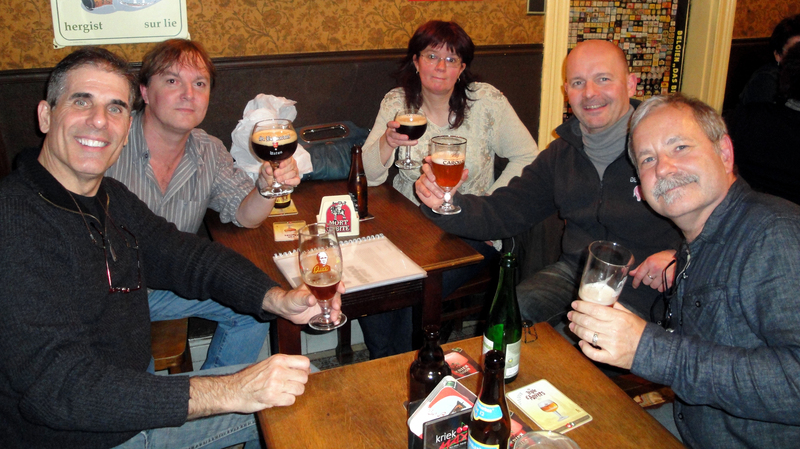 If you want to meet new friends (Belgian or otherwise), sidle up to the bar – it’s the most happening place in town for those in the know. Recommendation: That’s hard with such a huge selection. I like to ask for the Duvel Triple Hop from various years (they change it up every year and the Bruges Bear usually has some old stock) and do a little taste comparison. If not available, just ask Tom, or Laura, or whoever happens to be behind the bar that night, what they recommend. They are the wizards of beer! Good luck trying to find this place. 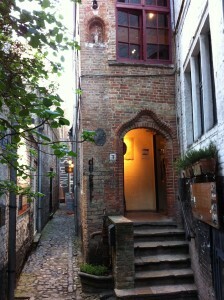 But if you are lucky enough to make your way down Bruges’ shortest street, you will enter this tiny den of Flemish quaintness. Tables all full on the main floor? Just squeeze up the little staircase and sit at one of the barrels (!?) near the upstairs bar – you get a great view over the downstairs mayhem, and the bartender is close at hand. With a fine beer and food menu, and some excellent, ever-changing cask ales (not common in Belgium) some Bruges residents consider this place their own little secret, but don’t worry about that – the bar staff is happy to serve whoever finds their way down their hidden little street. 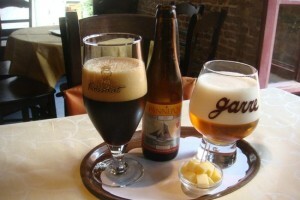 Recommendation: The beer to drink here is Tripel de Garre brewed by Brouwerij Van Steenberge and only available here. Always served with a few cubes of young gouda cheese – it is a delightfully tasty and deceivingly strong (11.5%) tripel style beer. 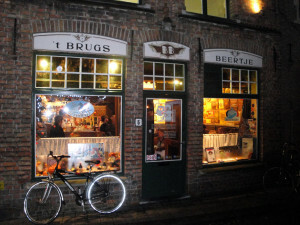 Details: Address: De Garre 1 8000 Brugge Contact: info@degarre.be Hours: Noon to midnight daily (longer on weekends). OneLife Tours offers the industry’s best in organized small-group tours of Europe, as well as amazing custom tour itineraries. 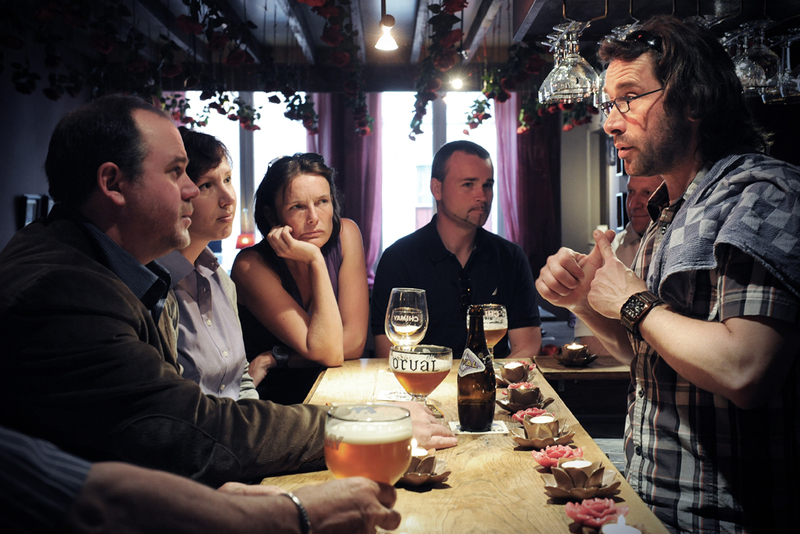 Two of our signature tours, the Grand Tour of Europe and the Ultimate Beer Tour, spend quality time in Bruges – join us at some of the above-mentioned cafés! Craig Bresett on Surfing in England? Barry Flynn on Surfing in England?